When Google rolled out its deadly Penguin algorithm update, it hit hard millions of websites, which were getting backlinks from spammy websites or bad reputation websites. Google razed rankings of all those websites which were connected to bad reputation websites in any way. Google’s motive behind this update was to bring an end to SEO agencies which were selling paid backlinks and as a matter of fact all these links came from the spammy websites or the duplicate content websites. But, as a side effect of this update, thousands of innocent websites or to put in a better way unsuspecting websites too were affected badly, though they were not actually involved in this kind of backlink building strategy. And the reason was simple; “anyone can link you to his website and what you can do to get that link removed was nothing”. So undoubtedly many websites were caught unknowingly and they had to bear the brunt of Google Penguin Update, even if they were not to blame. Taking this issue into consideration Google soon provided every webmaster with a tool via Google webmaster tools, which was called Disavow tool. With the help of this tool, you can let Google know from what domain or URL you don’t want backlinks to be counted. And thus, this tool gives you full control over incoming links to your website. Every time you need to update the links in your disavow file, you need to re upload the file and it will replace your previously added disavow file. You can simply get the list of all backlinks in your Google webmaster tool and you can also download all the links in a plain text file. 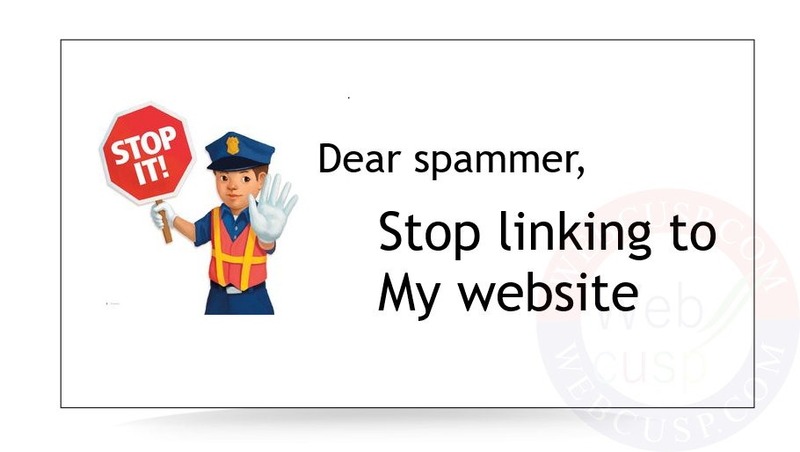 You need to check all the links manually to find out spammy links. Check out the content of the page where your website link is placed. If you find that the content on that page is useful and has been created manually, it should be considered a good web page and it will give a quality backlink to your website. But if you observe that that page contains thin and low quality content or auto generated content, it should be considered a spammy content and clearly your link on that page may harm your ranking. So it should be disavowed.